Today I have the romance writer and talented author, Sundari Venkatraman, on my blog, sharing some insights on her popular book 'The Madras Affair', brought out by Readomania. Sundari, would you call this book of yours a full-fledged romance or a social drama, and when you began to write it, did the city of Madras suggest itself to you? What were the reasons behind choosing this city? 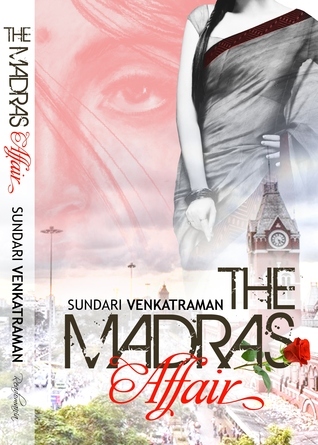 The Madras Affair is a romance with a lot of drama thrown in. But then, drama is very much a part of a typical Indian household, whether it be the north or the south. Even your so-called snooty high society plays its drama in secret. So, I suppose you can say my book is a romance drama. As they say, in our country, it’s not just two people who get together in marriage. The bride and groom are wedded to their partner’s families as well. There is this instance when Gautam (half-Indian; half-American) wants to take Sangita out for a coffee. She keeps refusing him as her family is conservative. It’s unheard of for a young woman to go out by herself with a guy, a stranger at that. Worse yet, she’s a young widow. She’s worried that her parents might die of shock just hearing the idea. 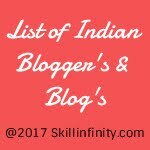 But Gautam being Gautam – even the Indian side of his family is pretty modern – is unable to understand why she’s refusing. He sighed gently. “Will you go out with me for a while after you’re through here?” he repeated. She looked at him in bewilderment. Her heart screamed at her to say ‘yes’. But a natural caution, a wariness of men and her parents’ strict upbringing stopped her. “Who looks after him when you’re at work? Do you send him to a day-care?” Gautam was keen to know about her son. “My mother and sister-in-law manage between them. He attends kindergarten for a couple of hours every day.” Sangita was a proud mother. “I’d like to meet Sandeep. Why don’t we go pick him up and make an outing of it, all three of us together? We can all get to know each other.” Gautam had the air of a man who was used to authority, having his wishes followed by those around him to the T.
Her expression was almost comical in its horror. She shuddered as she imagined her mother’s reaction to his suggestion. The Madras Affair is the third book I wrote and that was in 2001. My first two books were set in Mumbai and I was keen to write a book for Madras. When the theme of a young widow presented itself to me I immediately decided that it had to be in Madras. After that everything else just fell into place.